Winter Wipeout is the latest movie to be added to iPlay America's 4D thrill ride. Winter Wipeout gives you the opportunity to experience riding icy ski slopes with snowmen. Other 4D movies including DinoSafari in which you get to experience being chased by a giant dinosaur are still available as well. Children's Museum of the Arts is pleased to announce Sew What? on view in the Cynthia C. Wainwright Gallery. This exhibition takes textile arts as its starting point and includes contemporary artists whose work transforms the material of fiber.Sew What? revels in the diversity of textiles, and how these materials are transformed through various techniques by contemporary artists. The word textile, from Latin textere, means to weave, to braid, to construct. Most textile arts begin with twisting or spinning and plying fiber to make yarn (called thread when it is very fine and rope when it is very heavy). The yarn is then knotted, looped, braided or woven to make flexible fabric or cloth, and cloth can be used to make clothing and soft objects. Techniques of dyeing, printing, embroidery, needlework, knitting, quilting and sewing all are a part of textile arts. Often connecting significant personal and cultural narratives, the artists in Sew What? move across temporal and spatial boundaries, connecting old and new ideas, just as they provide important links between people, places and ways of life. Bringing together a diverse range of contemporary works,Sew What? celebrates the ways in which contemporary artists explore and extend the textile and fiber medium. This exhibition is a collaborative clothesline created by CMA Teaching Artists and museum visitors. In this interactive exhibition, visitors are invited to craft and arrange miniature models of their own clothes while adding their personal touch to CMA's large-scale clothesline. Each visitor will study their own clothes and then recreate them through fabric, paper or other materials. Afterward, they can become part of the exhibition by hanging their creations out to dry with string and mini-clothespins! Jeila Gueramian creates alternate worlds using zippers, buttons, and brightly colored found textiles including crocheted blankets, latch hook rugs and embroidered pieces For this CMA-commissioned installation, Gueramian will use stitch work, crochet, knit and various embellishments to create an all-encompassing installation that spans the entire bridgespace at CMA. Gueramian will transform the bridge into an interactive textile and light adventure creating a magical experience for adults and children alike. The installation can be appreciated for its incredible craftsmanship, its ability to transform the space, and its power to make the most seasoned art viewer delight with wonder. This project is part of CMA's annual program to commission site-specific works by emerging artists. NOW That's What I call Music LIVE! The Strand will present a brand-new, first ever, live music subscription series: NOW That's What I Call Music LIVE! The infamous compilation album series you may have laying around comes alive as a list of local and national music acts re-create and their spin on pop classics from The Spice Girls and Backstreet Boys to Everclear and Radiohead. Featuring a 20-piece house band, LIVE POP-UP VIDEO, and guests galore, hosted by Asbury Park Press "soul sensation" and "expert at bringing history to life" REMEMBER JONES, we return to 1998 with the original NOW 2 on February 12, show $20 (Plus $5 fee per ticket). James D'Amico Productions & Tommy's House Present: The Machine Performs Pink Floyd “with the Interstellar light & Multimedia show” America’s top Pink Floyd show, has forged a 25 year reputation of excellence, extending the legacy of Pink Floyd. The New York based band focuses on making every show an authentic Floydian experience for their fans. Known for performing a diverse mix of The Floyd’s extensive 16-album repertoire (complete with faithful renditions of popular hits as well as obscure gems), The Machine’s stellar musicianship, dramatic lighting and video, and their passionate delivery sets them above and beyond the rest. “amazing…chilling accuracy”.-Rolling Stone! Tickets $45 Orchestra & Loge, $35 Mezzanine, $25 Tier (Plus $5 fee per ticket). For more information or to order tickets go to http://www.strand.org/events/event-listing/. So you're thinking maybe it's time to have a kid. Or wait, better to start with a pet. How will you decide? They both have their good traits. For instance, you can call them silly names and dress them in cute little clothes. But then again, they can both bite, poop on the floor, and make a lot of noise. Before deciding anything, we urge you to hear out our two teams of experts who will be arguing the salient, most crucial, life impacting points about whether it's better to choke on fur balls in your sleep, or wake up to a screaming child who wet the bed. You never know what to expect at this bi-monthly, wacky debate series that brings together two teams of comedians, writers and performers to face-off on a chosen topic, such as which dessert is superior pie or cake and is it better to be comfortable or fashionable? This installment includes Uptown Showdown favorite Maeve Higgins, Jo Firestone (Dr.Gameshow on WFMU), Abbi Crutchfield (People Now), Chris Duffy (You’re the Expert), and more. Debaters will argue these lingering questions, drawing from historical fact and personal-opinion in equal measure, and with plenty of silliness and audience participation. Forget about school reform and health care, these issues, heatedly argued by some of the funniest, smartest, intensely wacky creative thinkers around, are the topics that keep us awake at night....in a good way. Winner decided by the audience. Like their Facebook Page for updates, photos and video. Past Performers have included Michael Ian Black, Michael Showalter, Tom Cavanagh, Kristen Schaal, Wyatt Cenac, Maria Bamford, Janeane Garofalo, Jackie Hoffman, David Wain, Sasheer Zamata, Brooks Wheelan, Jon Glaser, Ilana Glazer, Dave Hill, Julie Klausner, A.D. Miles, Christian Finnegan, Elna Baker, Kevin Townley, Tom Shillue and more. The New York Mets announced they will retire Mike Piazza’s #31 uniform number Saturday night, July 30 at 6:30 p.m. before the Mets host the Colorado Rockies at Citi Field. Tickets are on sale now at Mets.com/Piazza or by calling (718) 507-TIXX. The Mets will commemorate the Hall of Fame career of the legendary catcher throughout the weekend with special promotional giveaways on Friday, July 29 and Sunday, July 31 in addition to the pre-game on-field retirement ceremony on Saturday night. Piazza joins Hall of Fame pitcher Tom Seaver (41; retired in 1988); Manager’s Gil Hodges (14; retired in 1973) and Casey Stengel (37; retired in 1965) as the only uniformed Mets whose numbers have been retired. The 14th Street Y through Downtown Jewish Life presents, PAUSE/PLAY, an innovative Saturday afternoon of Shabbat programming, on February 6, 2016 and continuing one Saturday per month through March 2016. Join us for recreational activities for adults and children at an event designed for our diverse Downtown Community at 344 East 14th Street. Admission is $10 for adults, $5 for kids under 18 and $30 Family Tickets when purchased in advance online. Day of ticketing is $15 for adults, $10 for kids under 18 and $40 family tickets. (This event is Free for 14th Street Y members). For more information, please visit http://www.14streety.org/pauseplay. This fall and winter, rethink how you spend your Saturday afternoons: share it with your family, with others and with us. PAUSE/PLAY invites people to hit the pause button in their busy lives and experience the best of what the 14th Street Y has to offer. You can stretch it out in Yoga or dive into Family Swim. Leave the kids in an engaging interactive music or science class while you explore Adult Meditation or study text with our own Executive Director Rabbi Shira Epstein. Professional childcare is provided for children 6 months to 6 years while other family members enjoy PAUSE/PLAY activities. This is only a sample of the unique offerings provided by the 14th Street Y on our special monthly Saturday afternoons. Visit www.14StreetY.org/PausePlay for regularly updated schedules throughout the winter. PAUSE/PLAY programs are 2pm to 5pm, with a Tu B'Shvat Seder from 5pm to 6pm. Whiskey Tasting with Dan Friedman, Managing Editor of the Forward Whiskey doesn't seem like an agricultural product. But as we celebrate (or pray for) the rebirth of nature on Tu B'Shvat it's good to bear in mind that what the Irish call "the brown" comes from fields of waving grain. Come join Dan Friedman, managing editor and whiskey correspondent of the Forward, who for some delicious tastings in celebration of Tu B'Shevat. Art with Ari Cameron: Come celebrate Tu B'Shvat by building a tree, grove, or forest of your own! Crafters will use clay, sticks, moss, and other found or recycled materials to grow their trees from the ground up. GaGa with Shane Larrier: Otherwise known as "Israeli Dodgeball", gaga is a safe and exciting favorite sport at NCDC! Cooking Camping and Pioneering with Ben Hubbard: In celebration of Tu B'Shvat, come help repair our world by making Bird Nesting Feeders for our small friends within the community. Together we will craft feeders full of typical supplies birds will need to make their nests in trees come warmer months in spring! Join us for a magical, musical, interactive storytelling event about the power of a good deed. "Hanna's Sabbath Dress" by Itzhak Schweiger-Dmi'el is an Israeli folktale for children. Perfect for ages 2-8! Led by Shayna Postman, the cantor next door (at Town & Village Synagogue), families with young children are invited to join together in interactive singing and movement. There will be singing, dancing, story time, laughter and bonding as we explore the Jewish environmental holiday for trees, known as "Tu B'Shvat" and the sacred and much needed day of rest each week, known as "Shabbat"
The Casting Society of America (CSA), in partnership with the Alliance for Inclusion in the Arts, will hold a series of free workshops in February and March for Actors With Disabilities. The event is the next in the “Commitment to Diversity and Inclusion in Casting Initiative,” a series of conversations and workshops designed to effect concrete change in how actors in historically underrepresented communities are afforded access to job opportunities. The series began in September with a Town Hall gathering of artists and casting directors. The Workshops will take place as follows, and advance signup is required. Space is limited. The Business of Acting 101: Tuesday, February 2, 2016 from 7pm – 9pm, at the Actors’ Equity Building in New York, 165 W. 46thStreet entrance, 14th Floor. Doors will open at 6:30pm. RSVP necessary; please respond with your name and any specific accommodation information we should be aware of to: CSADiversityNY@gmail.com. You do not need to be a member of Actors’ Equity to attend. 3. For Casting Directors and their Associates to develop a more nuanced understanding of how we can accommodate Performers With Disabilities and insure them equal opportunity to be considered for all roles. Casting Society of America is committed to increasing access to casting opportunities for actors who have been historically overlooked in the entertainment industry--from actors of color to actors with disabilities. In working with our creative and producing teams we will champion our core values of diversity and inclusion, by engaging in thoughtful and informed discussions and by introducing and advocating for qualified actors. CSA and its individual members are committed to doing our part to expand perceptions and to creating a rich fabric of representation in storytelling across all media that reflects our society. Kicking off the 2016 spring season, Target Margin Theater presents a special treatment of Eugene O’Neill’s epic Mourning Becomes Electra. Drunken With What, presented at the Abrons Arts Center’s historic Playhouse in February 2016, is the first in a series of studies of key scenes in the Mourning Becomes Electra trilogy and will offer audiences a deep reflection on the seminal work. Previews will begin on February 11th, 2016 with an opening night set for February 15th, 2016. Tickets will be $30. Drunken With What is part of Target Margin Theater’s two-season exploration of the great father of American theater, Eugene O’Neill. Who was O’Neill? Genius, blowhard, giant of the imagination, ham-fisted avatar of pseudo-psychology, geographer of the human spirit, was he drunk on art or just drunk? He rewrote Greek tragedy, refurbished American melodrama, and reinvented depth psychology for the stage, and TMT brings it all to you. New York, NY – The McKittrick Hotel (530 W 27th Street, New York, NY), home of Sleep No More, will debut its first-everSupercinema, an all-new way to experience nightlife through a cinematic lens. The party encourages guests to enter the world of film through an evening of costumed-revelry and live theatrical performances, and features and open-bar for guests to enjoy all night long. The inaugural bash will celebrate Baz Luhrmann’s visually stunning and visceral interpretation of Romeo + Juliet on Saturday, February 13th, a fitting choice for Valentine’s Day Weekend. Guests will be required to dress as their favorite character from the film whether it be a Montague (Hawaiian shirts), a Capulet (all black), a (drag) King or Queen, a Knight, or a Nun, or any number of other looks from the film. Supercinema begins at 10:00 p.m. immediately following that evening’s performance of Sleep No More. Ticket packages are on-sale now. For info and tickets, visit http://www.supercinemanyc.com/. Premiere Packages are also available, including: Maximilian’s List, which offers front-of-line access, complimentary coat check and exclusive access to Maximilian’s Tiki Bar, an exclusive bar for the evening; and Champagne Tables, with enhanced Max’s List privileges including private entry to the party, personalized complimentary coat check, a reserved table in our grand ballroom with table service, and prime access to exclusive bars. Prices and information available upon booking. All party guests will enjoy open bar for the entire evening. All guests must be at least 21 to enter. The dress code will be strictly enforced: Montague Gang (Hawaiian shirt), Knight, Drag King or Queen, Viking, Capulet Gang (all black), Angel, Astronaut, Skeleton, Cleopatra, Antony, Priest or Nun. Punchdrunk's Sleep No More is an award-winning theatrical experience that tells Shakespeare’s classic tragedy Macbeth through a darkly cinematic lens. Audiences move freely through the epic world of the story at their own pace, choosing where to go and what to see, ensuring that everyone’s journey is different and unique. Tickets are available via www.sleepnomorenyc.com or by calling (866) 811-4111. No one under sixteen will be permitted. Sleep No More is produced by EMURSIVE Jonathan Hochwald, Arthur Karpati, and Randy Weiner, principals) in association with rebecca gold productions. EMURSIVE produces theatre in extraordinary places. Deliciously Savvy Is Hosting A Giveaway Sponsored By 1byOne! 1 Lucky Winner Will Receive a Belt-Drive 3 Speed Stereo Portable Turntable from 1byOne with a RV of $77. Winner Chooses Color (Either Turquoise or Black)! Now Deliciously Savvy Needs Your Help In Promoting! #Free & #Paid Links Available! As Always I Can Never Do It Without Each & Every One Of You….. Sign Up To Promote Today! 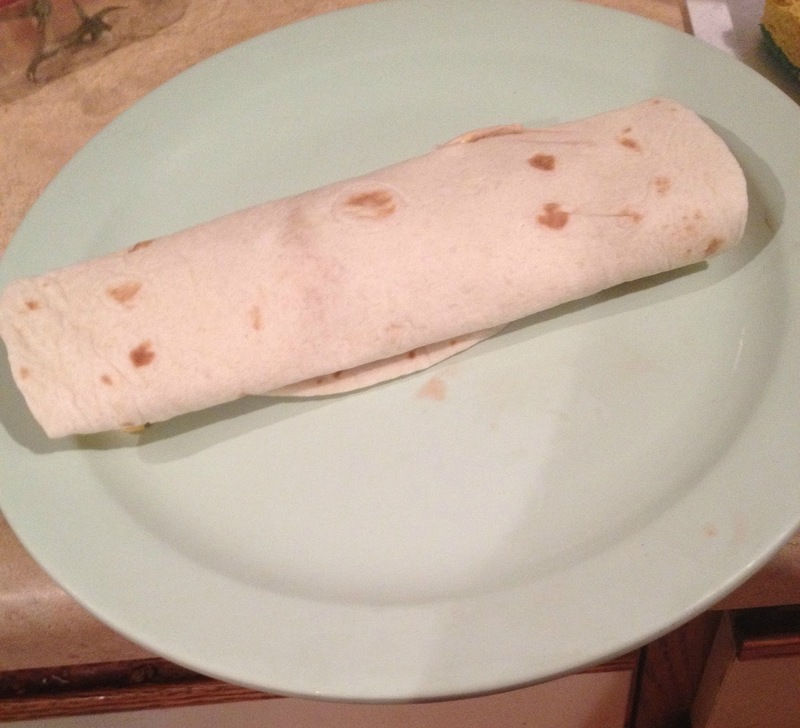 Here is an easy meal my children and I like to prepare together. 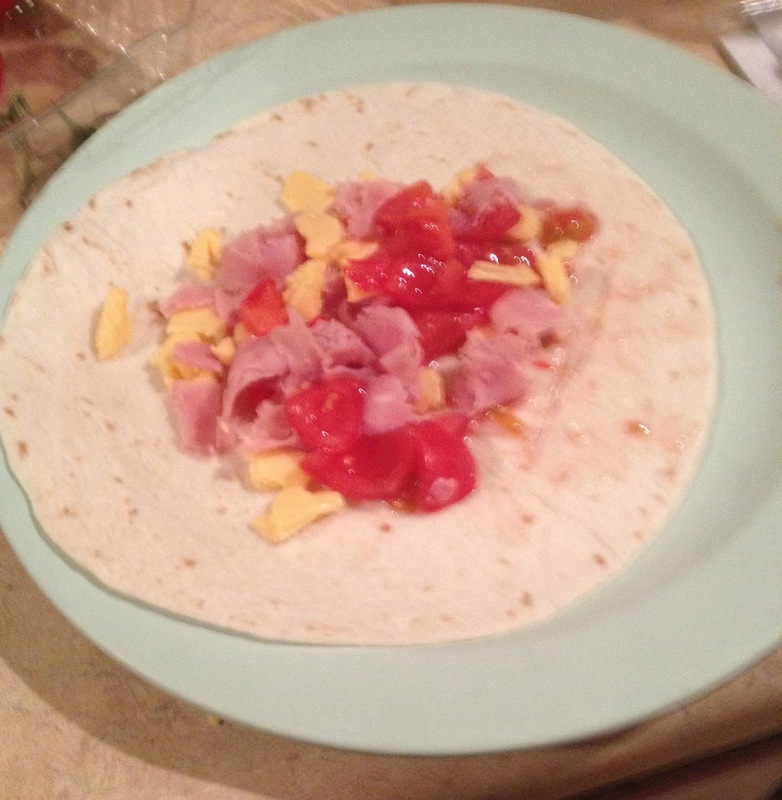 1- Cut up the ham, cheese and tomatoes into small bite size pieces. 2- Fill each tortilla with an equal amount of each ingredient. 3- Roll up each tortilla with the ingredients inside. 4-If you want them warm, you can heat them in the microwave for a minute. 5- Add any kind of salad dressing you want or eat them plain. Me - Glow Golf, wow! Glow Golf was fun. It was pretty much like regular miniature golf except it was in the dark. It was really pretty how everything glowed. Even white clothes and papers and hairbands and stuff glowed. They had a lot of cool pictures on the walls. They included pictures of fish, turtles and other things. All the pictures glowed too. The golf course was really fun and challenging. It was much harder than I thought it would be. It was harder than other miniature golf courses I've played at before. It was more fun than some other mini golf courses I've been to, but not more fun than all other mini golf courses I've been to. It had a lot of interesting obstacles and things. There were actually two complete miniature golf courses. They were similar but not exactly the same. Both courses were fun. Me - Jersey Boys, wow! Jersey Boys was a really great show. I really liked it. I had already seen the movie Jersey Boys and liked that too. Before I saw the show and the movie, I didn't know that much about Frank Valli and the Four Seasons. It was interesting to learn about them. Before the show and the movie, I already knew some of the music and liked it. Some of it I even knew and I liked, but I didn't know was Frank Valli. The music I didn't know before I liked too. There is hardly a bad song in the whole show. Once you go, you won't be able to get the songs out of your head. It is a really good show. And that's Melia's view. Tune in tomorrow for Funtivity Friday. Giveaway: Win a Lily Nily $50.00 Gift Card Giveaway! hosted by Karen’s Got Mail. Lily Nily carries an assortment of jewelry for children including bracelets, earrings, necklaces, watches and rings. Their jewelry is crafted of 18k gold-plated brass and all the enamel designs are hand painted. One person is going to WIN a Lily Nily $50 Gift Card! Open to the Continental US only, ages 18 and up. Ends 02/10/16 at 11:59 PM ET. Disclosure: Karen’s Got Mail and the participating blogs are not responsible for prize fulfillment. One winner will be randomly selected using the Giveaway Tools random selector and notified via email. The winner will have 48 hours to respond or a new winner will be chosen. This giveaway is in no way associated with Facebook, Twitter, Instagram, Pinterest or Google. Mom's view. Glow Golf is miniature golf played inside in the dark. Of course, it is not completely in the dark the course is filled with glowing holes, obstacles and decor. This makes the courses as pretty to look at as they are to play on. Glow Golf is the perfect game for this time of year since it's not played outside, and you don't have to worry about snow, ice or cold. It is also a great game for families to play together because larger or smaller or weaker or stronger doesn't necessarily give you an advantage. The Glow Golf we attended had two complete courses and offered three complete games for the price of one. You could play one on each course and choose one of them to play an additional game on. However, since it is our understanding that Glow Golf locations are independently owned and operated, this may not be true of all locations. Still, I am sure other locations probably have special offers of their own and no matter which location you attend Glow Golf is a fun game for the whole family. Mom's view: If you want to see a really fun show with catchy familiar tunes go see, Jersey Boys. Jersey Boys is the story of Frankie Valli and The Four Seasons. It was the Tony Award winning musical of 2006. It was one of the original if not the original jukebox musical. If you like sixties music especially Frank Valli and The Four Seasons music, you will love the show. If you are only looking for a concert, without any story, this is the wrong show for you. However, if you don't go because of that you will be missing out on a good show starring a talented cast of actors. Although the music is catchy and the show is fun, I would not recommend the show for young children because of language and some situations. There is quite a lot of cursing in the show. However despite that, all in all, it is a highly entertaining show, one whose songs my family has literally not been able to stop singing even though we saw the show over five months ago. And that's Mom's view. Tune in tomorrow for more about Glow Golf and Jersey Boys. Giveaway: Win $50.00 Paypal from LaMode 365! Giveaway: Win $100.00 Visa Gift Card! Giveaway: Win a $5.00 Target e-Gift Card!